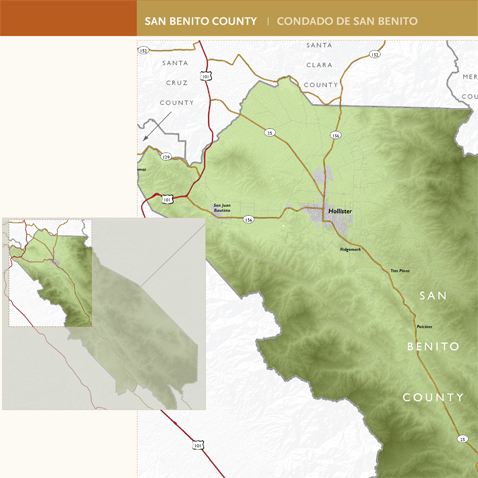 San Benito County is largely rural in character, and is located directly south of Santa Clara County, just outside of the nine-county Bay Area. Historically, agriculture has been the county’s main occupation, although in recent years, more people are commuting to tech jobs in Santa Clara and San Mateo counties. The County hired Dyett & Bhatia to prepare a Strategic Plan for based on community and decision-maker outreach, and evaluate the existing General Plan. 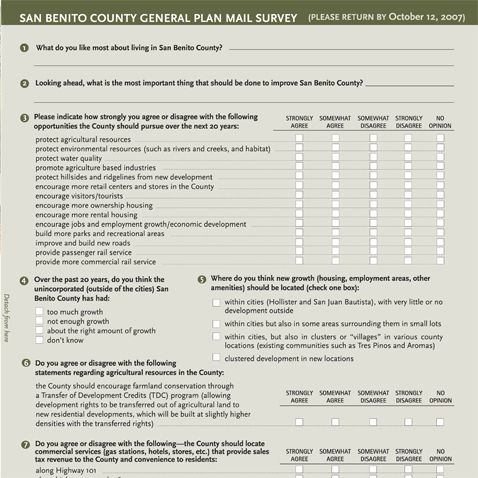 Outreach included a mail-in survey sent to all households in the county. 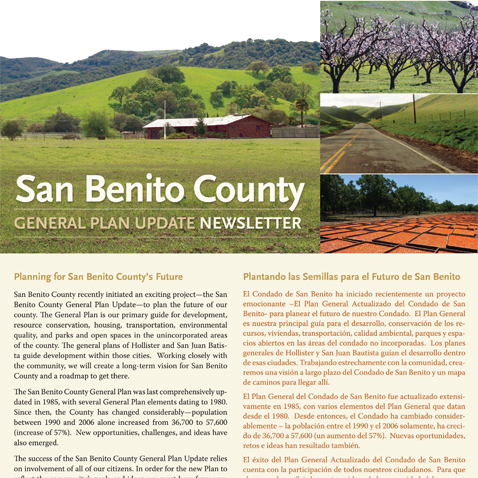 D&B developed a community vision report, and for the Strategic Plan reviewed all elements of the County’s General Plan to see how well they matched with the vision, and provided issues and recommendations by element.